Organised by Brilliant Marketing Solutions and The British Educational Suppliers Association (BESA), The Education Resources Awards (ERA) are now in their 19th successful year and are firmly established as the premier annual event to celebrate outstanding success for the suppliers and teaching professionals of the education sector throughout the UK. This year, NetSupport are proud to be finalists in not one but two categories! 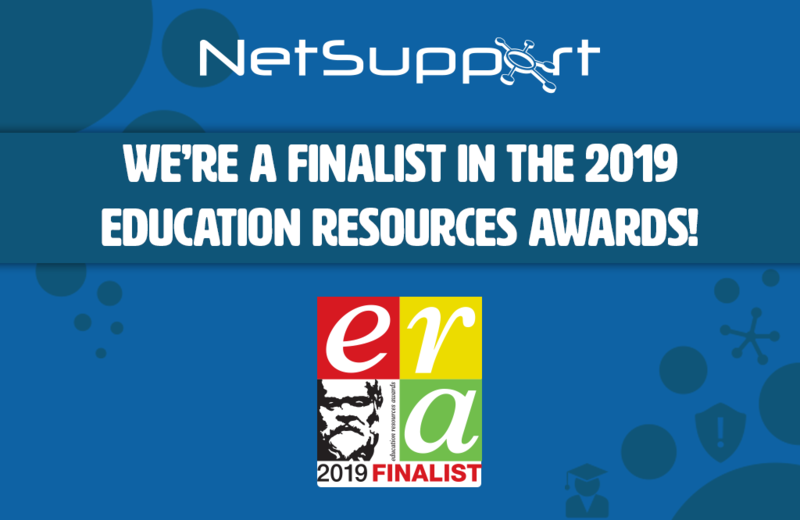 NetSupport DNA (Network and IT Management with Safeguarding) is a finalist in ‘Secondary Resource or Equipment including ICT’ Category, while ReallySchool (Primary Observations and Assessment app) is a finalist in ‘Primary Resource or Equipment including ICT’ Category. We look forward to the winners being announced on March 22nd 2019.